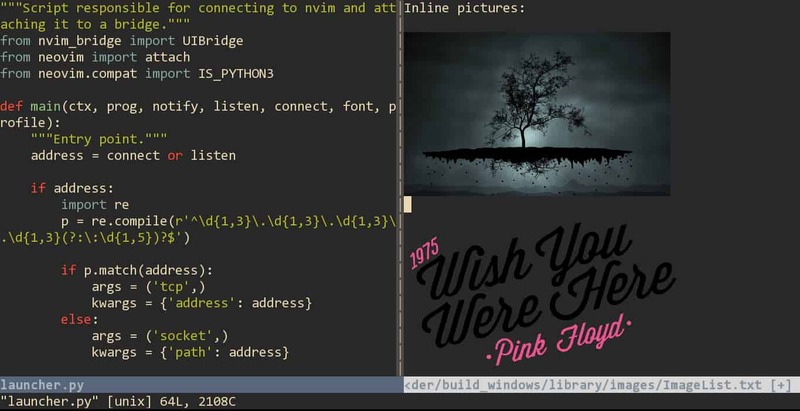 Python’s focus on code readability has made it widely used in modern applications. Today’s market has a high demand for programmers familiar with Python. Here are some of the most frequently asked Python interview questions. 1. What Are the Key Features of Python? Python is an interpreted language. Python uses a dynamic-typed system. Python employs a comprehensive standard library. 2. How Is Memory Managed in Python? 3. What Is the Difference Between Classes and Instances? 4. What Is the Difference Between Tuples and Lists, and How Are They Used? 5. 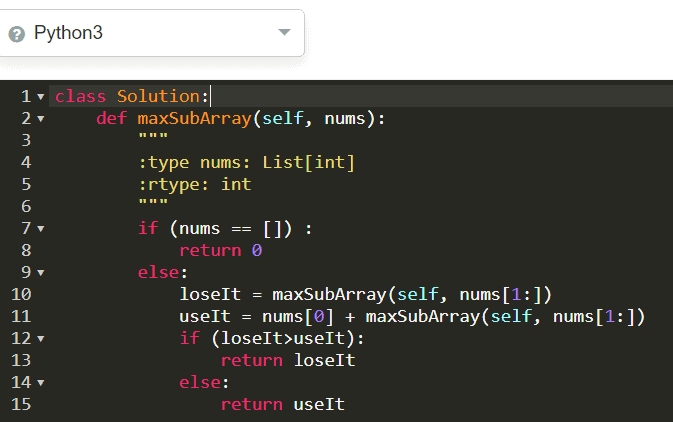 What Are Ternary Operators? 6. How Does Inheritance Work? 7. What Is the Difference Between Shallow Copy and Deep Copy? 8. 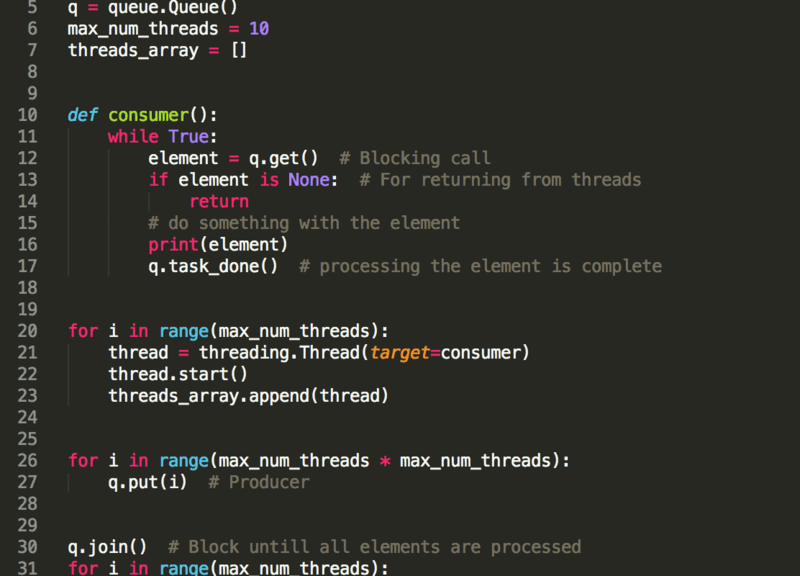 How Does Multi-Threading Work in Python? 9. Why Is Version Control Important? 10. When Is Monkey-Patching a Good Idea? 12. When Are *Args and **Kwargs Used? 13. What Are Loops and Recursions? 14. How Do Help() and Dir() Functions Differ? 15. 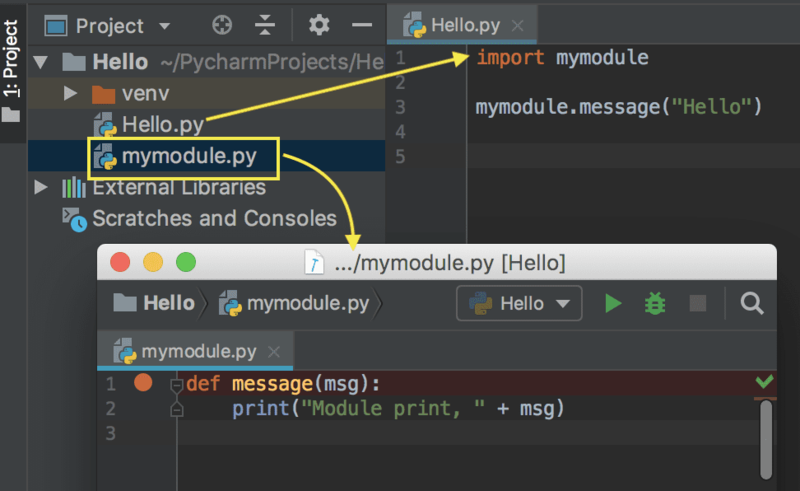 What Are Python Modules? 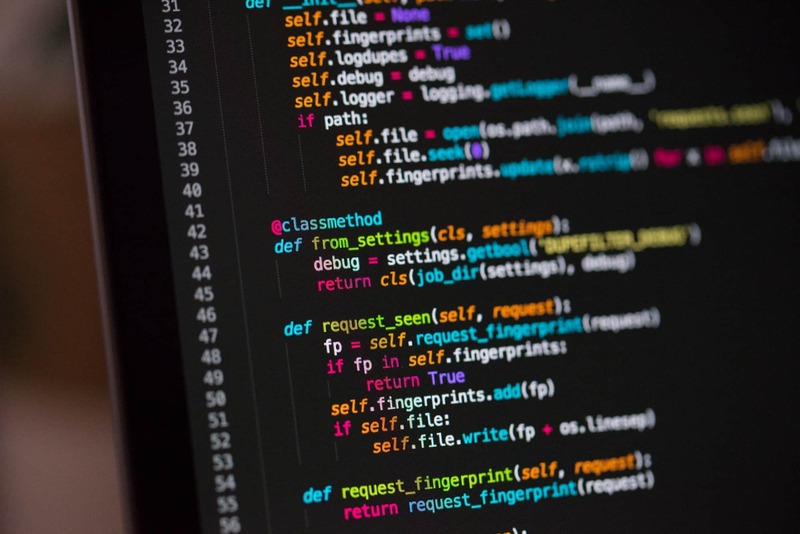 In interpreted languages, most implementations can be executed directly, without requiring compiling the program into machine-language instructions. 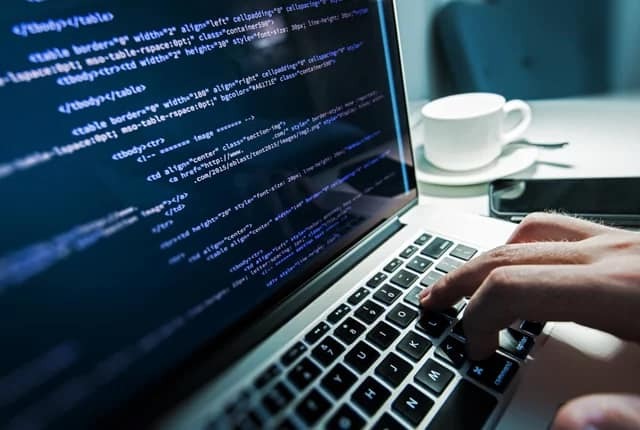 This provides greater flexibility than compiled languages but also makes the implementation more vulnerable and subject to code programming errors due to its lack of static type-checking. Dynamic-typed systems verify a program’s type safety at run-time as opposed to static type-checking which verifies type safety based on analysis of source code. This makes metaprogramming easier to use, reducing the amount of boilerplate code required for a template and allows for the use of constructs, such as eval functions, which static type-checking systems would reject as illegal. In Python, everything is an object. Even functions are objects with attributes. Various names can be assigned to the same function object. Like other languages that support object-oriented programming, Python uses inheritance for code reuse and extensibility. Inheritance is the mechanism that allows programmers to create new classes based on existing classes. In computer science, the library is the collection of non-volatile resources used in software development. The standard library of a computer programming language is the library that is available across all implementations of that language. The Python paradigm adopts a “batteries included” approach that contains a standard library featuring a wide array of sub-routines, macro definitions, global variables, templates and class definitions. Python features automatic memory management. 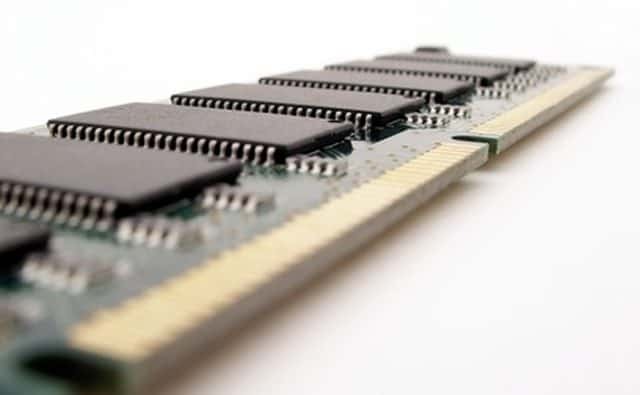 The purpose of memory management is to allocate computer memory to fulfill a program’s requirements and then to free the memory for reuse when it is no longer needed. 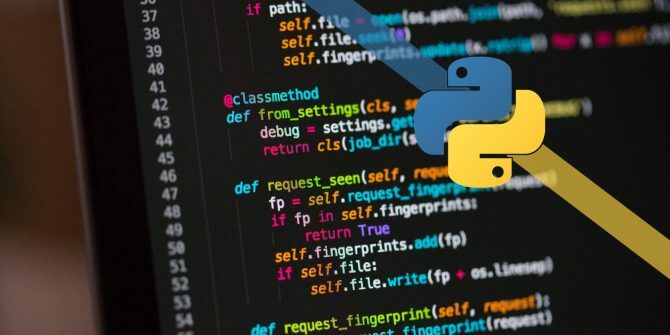 While other languages require the programmer to explicitly code for memory requests and releases, Python employs garbage collection, a strategy for automatically detecting memory attached to objects no longer useable in a program and returning that memory to the available pool. If all programmers needed to do was compile lists and strings, there would not be a need for classes. But sometimes a program needs to achieve more complicated functions. Classes provide programmers with the ability to create more complicated data structures. While class provides structure, it does not fill in the content. Instances are the content of the class. The most significant difference between tuples and lists is that lists can be changed, and tuples are immutable. In situations where values are not going to change, a tuple is faster than a list. It is also easier to locate members of a tuple. When deciding which to use, analyze the data structure and determine whether elements may need to be added or deleted. If it will require alterations use lists and if it will remain static use tuples. Ternary operators are also known as conditional expressions. They are used to make a conditional assignment statement in one line. Ternary operators evaluate the first expression if a condition is true and a second expression if a condition is not true. Inheritance is when a new class is created using code constructed in another class. The parent class is constructed like any other class and is fully functional, i.e., it is not a template. The child class is built using methods and variables of the parent class. 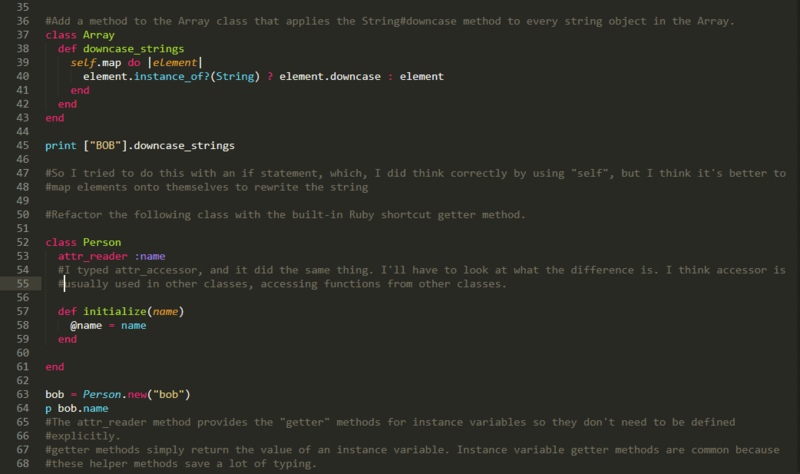 Inheritance allows this to be done without writing the code each time a subclass is introduced. Unlike other programming languages, Python supports inheritance from multiple classes. The difference between deep copy and shallow copy is only relevant when working with compound objects, such as lists or class instances. The deep copy function is used when collections are mutable to create copies so that changes can be made without changing the original. In the case of the shallow copy function, it is a reference to an object that is copied. In these cases, changes to the copy will be reflected in the original. While Python offers a multi-threading package, this really does not work in the true sense of the word. This is because Python uses a concept called the Global Interpreter Lock (GIL). The construct GIL ensures that only a single thread can run at any one time. While these threads may execute quickly, it is not multi-threading. The multi-threading package is a reasonable option for applications that do not require efficiency. However, it is best to outsource these functions to the operating system or to an external application or code. This is a key Python interview question because version control is an essential skill if a programmer is going to advance beyond the beginner stage. A version control system allows programmers to keep track of significant amounts of code. It’s most obvious benefit is in tracking down bugs and rolling back code to the point before it broke. 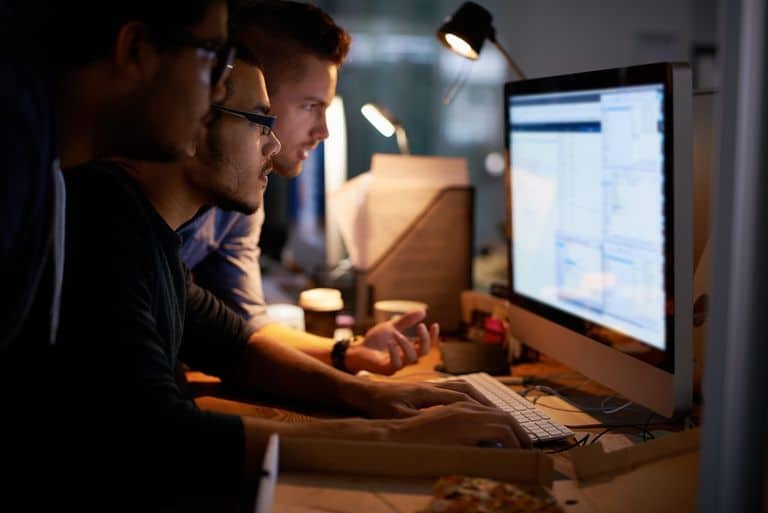 When working with others on a project, a version control system allows programmers to keep track of changes and who made them. There are several of these systems available. A popular one is GIT, a free and open source system. Others include Mercurial and Subversion. Monkey-patching can only be done in dynamic languages such as Python because it changes classes or class methods at run-time. While it can be useful for testing a program, it should not be used to correct underlying problems in the code. There are several reasons that this is a bad idea. Using a monkey-patch results in an object’s definition inaccurately describing its actual behavior, a problem that is compounded when several monkey-patches are used. 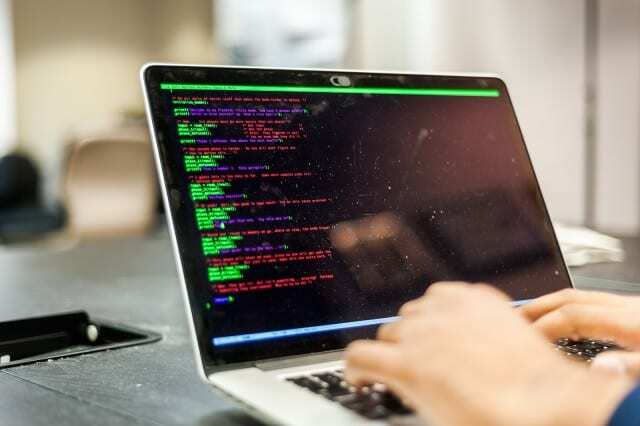 It also makes problems difficult for other IT techs to troubleshoot because monkey-patching creates a discrepancy between observed behavior and the original source code. It is generally best when things operate in a well-defined way. Functions can be passed as arguments to higher order functions and can return another function. A decorator takes in a function, adds functionality to it and returns it. Since this is a common construct Python incorporated a syntax to streamline the process using the @ symbol. By using the @ symbol and the decorator name before the function, a new function can be added and returned. Using *args, the tuple of positional arguments, and **kwargs, the dictionary of keyword arguments, allows programmers to decorate functions that take parameters. Chained decorators can be used on the same function. The terms *args and **kwargs are a convention, and only the asterisks are necessary. *Args are used when the number of non-keyworded arguments that will be passed to a function is indeterminate or when passing a stored list or tuple of arguments to a function. **Kwargs are used when the arguments are keyworded or when passing the values of a dictionary as keyword arguments. An argument is the value provided to a function when it is called. Loops are used to repeat code, generally until the desired condition is met. There are three types of loops: for loops, while loops and nested loops. For loops are used when there is a known number of iterations required such as when generating a list. Conversely, a while loop is used when the number of iterations required to achieve the desired outcome is not known. A simple example would be a number guessing game. Nested loops are used to combine loops. A recursive function is one that calls itself and has a terminating condition. While recursion may work better than loops to achieve some goals, every time a function calls itself it stores memory. 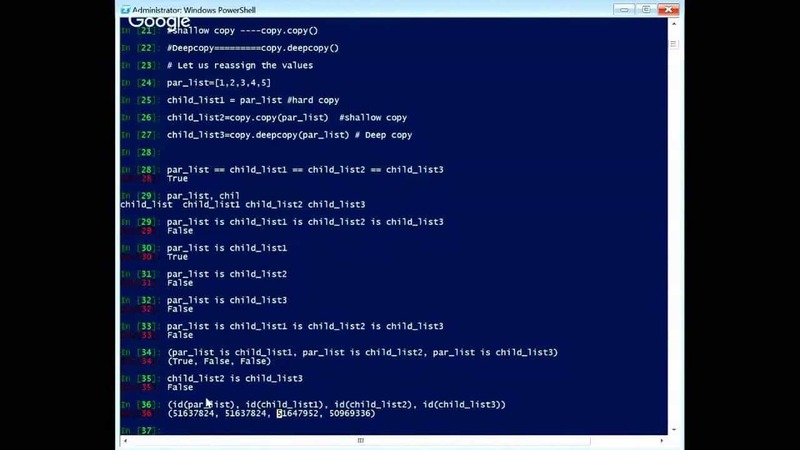 Because of this memory consumption, Python limits function calls to 1,000. If a recursive function exceeds this limit, a runtime error will be generated, or the program will crash. Both functions are available through the Python Interpreter and are used for viewing a consolidated dump of built-in functions. The help() function is used to display documentation strings related to things such as modules, attributes or keywords. The dir() function returns a list of defined names without functions. The Python module is a mechanism that facilitates modular programming, the process by which large and complicated programming tasks are broken down into more manageable subtasks. Modules, packages and functions are all constructs in Python that promote code modularization. A module’s contents are accessed by the import statement. 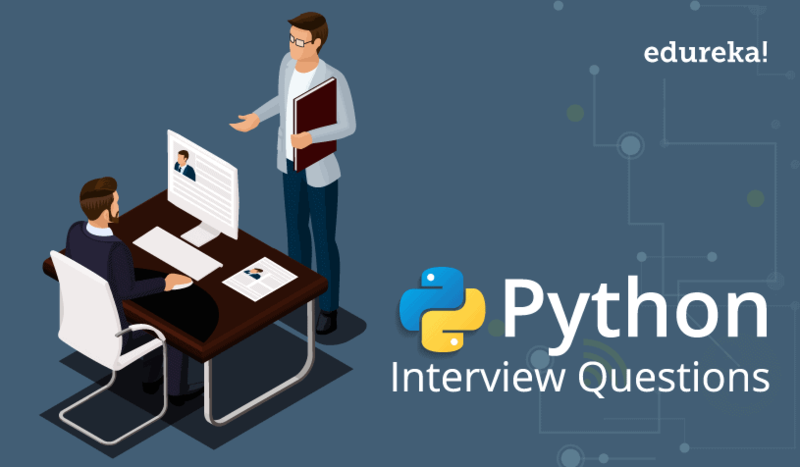 This overview of common terms and features found in Python will stream-line preparation for successfully answering python interview questions.